The Blackberry Torch 9860 stands its ground as being quite easy to hard reset if you haven’t forgotten your lock password, yet time consuming if otherwise. If you find yourself struggling in the second category, you should need a little more time to erase all data, but, nonetheless, you have come to the right place. 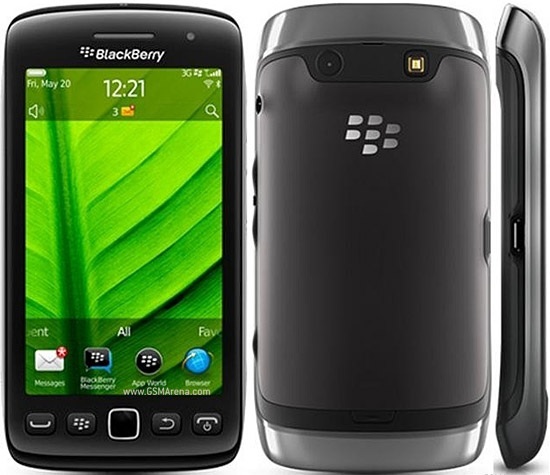 In the following lines we are going to show how to master reset the BlackBerry Torch 9860 or, in other words, restore it to a factory settings state. During this process all the internal data, including pictures, videos, music, contacts and other files will be erased without mercy (data on SIM is not deleted). So, as you may have already hinted, a back-up of everything important is needed first. But, before going right into the steps, let’s talk a bit about this device. Knowing what the Blackberry Torch 9860 packs under its hood is important for your understanding of how your device works and behaves under certain circumstances. Introduced in September of 2011, the phone comes with a 3.7 inches TFT capacitive touchscreen does not disappoint as far as colors go. Even though being a touchscreen device, Blackberry has decided to incorporate the signature optical track-pad which actually does a fine job at navigating and browsing the Internet. The Internet browser is respectable and gives you a pleasurable experience mainly because its 1.2 GHz QC 8655 processor and sufficient RAM. The camera does a fine job at 5 megapixels with a high resolution, auto-focus, LED flash, face detection, image stabilization, geo-tagging and a 720p recording mode. Blackberry’s OS 7 does not disappoint on the 9860 Torch, offering all the most needed social feeds, Blackberry maps and document software in order to make your life easier and give you the smile that you deserve. The Torch 9860 performs well as a non-business handset as well, having a 3.5 mm jack gives you the opportunity to enjoy your music whenever and however you want to. Press the Menu key and then find your way into Options. Here, go to Security Wipe and then tap on the Menu key twice. Now, click on Options and then navigate to Security, where you will find a final Security Wipe menu. Choose it. Select all the fields which you want to erase, including Emails, Contacts and User Installed Applications. Beware – if you choose Media Card the process will also erase the contents of the SD card. Now tap the empty field and type “blackberry”, without quotation marks. Finally, choose to Wipe Data. As we’ve pointed out, it might be more time consuming to hard reset using the Device Manager, yet what must be done must be done. Depending on your Desktop Manager’s version and PC operating system, you will have to follow different steps detailed by Blackberry’s official website.